This article is a stub. You can help the Nexo Knights Wiki by expanding it. Quote "We just love showing off our amazing Kingdom!" King Eggred Halbert ("The Benevolent") is one of the minor characters in Nexo Knights. He rules over the Kingdom of Knighton with his wife, the Queen, by his side. He is father to Princess Macy. King Halbert and Queen Halbert's relationship with Jestro, their jester, was somewhat distant, which eventually lead to him becoming evil. The King was also was a close companion and an admirer of Merlok, and was relieved to see the wizard come back digitally as a hologram after he had sacrificed himself. "Even though he is the king, King Halbert is quite a timid man. He is scared by any dark, loud noise and can get quite nervous when he thinks of what tomorrow might bring. He likes going to tournaments and giving speeches a lot more than fighting evil monsters. He loves Knighton and will do anything to keep it safe. Even if it means letting his beloved daughter join the fight at the frontline." "Hey, Halbert broke with tradition and married a woman of common stock. Gotta give him some props for not marrying an entitled princess. What a pair of Royal Losers. He's Mr. Promote the kingdom, and she's Mrs. Let's mash some monsters. 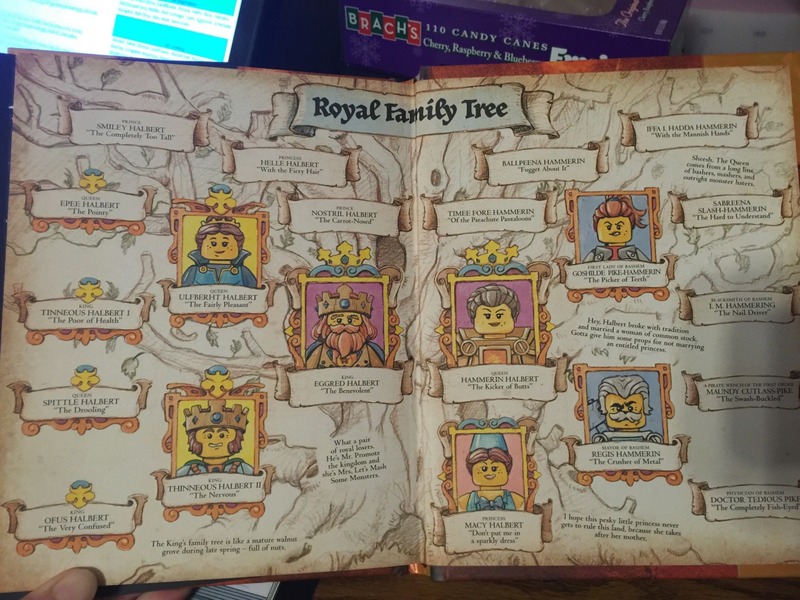 The King's family tree is like a mature walnut grove during late spring - full of nuts." King Halbert is somewhat incompetent at his job, mostly relying on Merlok for advice. He is a cowardly pacifist and a lover of peace who would rather no one have to fight at all, however accepts that it is a necessity. He is also protective of his daughter, Macy, and originally wasn't sure about her becoming a knight. He had to be convinced by his wife to allow their daughter to officially graduate, and even after agreeing to allow her to graduate as a knight he was still a little apprehensive of her knighthood. However, by the series finale he has fully accepted her knighthood and held a knighting ceremony in her honor. Despite not showing much, King Halbert have efficient leadership skills, having planned some emergency situations when the kingdom was in trouble. He even became braver, having engaged in combat together with the Queen with great teamwork and efficiency. At some point, he invites Merlok the Magician and young Clay Moorington into the capital, with Merlok setting a magic library within the castle grounds and takes the position of advisor. His given name, Eggred, may be a play on the phrase Egghead. The reason that he had his own mech is because he was never trained to fight. Later on he was proficient enough to pilot the mech, which comes useful in battling the stone monsters in union with Queen Halbert.